Find more info at the menu "Who we are". The duty of the Committee is the internal and external coordination and in the oversight of meetings organized and supported by the CoDa-Association. Share responsibility with Council to make sure that the selection of CoDaWork conference sites is timely and openly advertised, thereby encouraging the presentation of bids to be evaluated, preferably 30 months before the actual holding of the conference starting date. Invite ideas and themes for the enhancement of the CoDaWork conferences, especially from organizers of previous events. Propose amendments to the Guidelines to Organize CoDaWork Conferences, if necessary. Final approval of any changes in guidelines requires final ratification by Council. 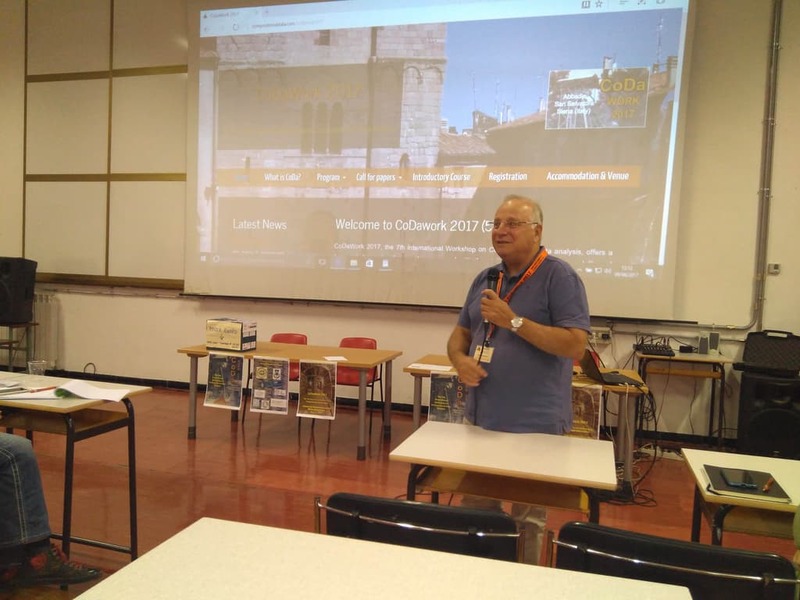 Coordinate with each local organizing committee in charge of organizing a CoDa conference, to reassuring proper scheduling of all necessary activities, going from the call for papers to the publication of proceedings with an International Standard Book Number (ISBN). Look for and evaluate opportunities to collaborate with related societies. For any question or further information, please contact meetings-committee@coda-association.org with copy to gloria-mateu@udg.edu .